Description: If you’re wondering how to create a cool website or blog, without investing much money into it, then this article is for you. Read about WordPress and discover its advantages. It’s been about 15 years since the moment that creating a website or blog became as easy as walking a dog, or making a cup of coffee. With the help of WordPress, in a matter of 5 minutes, you’ll have a ready-to-use sketch of a site, which can be customized according to the desired theme and preferences. 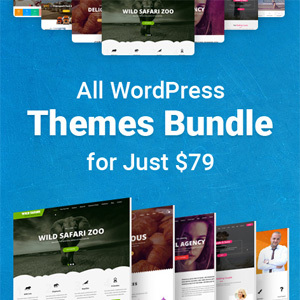 WordPress is completely free of charge, which makes it a globally desired software for novice bloggers and entrepreneurs. 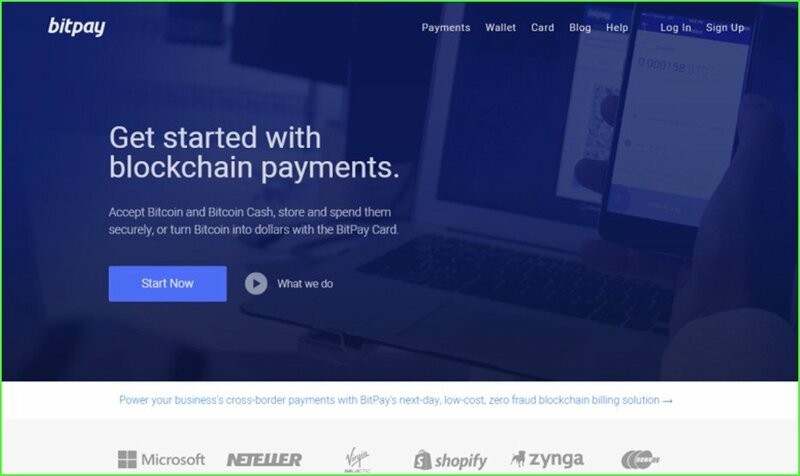 On the other hand, it appears to be so effective, easy to use, and reliable enough; that prominent websites like Vogue, NASA, Harvard University, and Forbes are also among its customers. WordPress was developed in 2003 by Michel Valdrighi as an open-source content management system, based on PHP and MySQL. Since that year, it’s been constantly enhanced by thousands of volunteers around the globe. In simple words, WordPress is a piece of software for making websites. Its main advantage, is that there is no need to learn how to code (HTML in particular) to run the site successfully. The back-end of the software looks like a text document, so some basic knowledge of Microsoft Word will do. So, you’ve downloaded and installed WordPress, signed in, and found yourself on the Dashboard. The two main navigational elements here are Admin Panel and ToolBar. The latter is a bar located in the header of the page and which is mainly responsible for the navigation of your site. It has several badges, so let’s start with the far left one and proceed to the rightmost one. The first badge you’ll see is the WordPress logo. It’s the only item on the ToolBar that has nothing to do with the navigation. 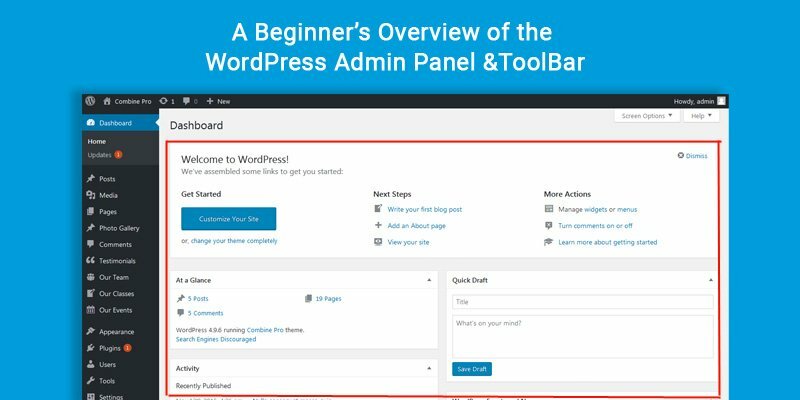 It gives you access to the WordPress site, Support Forums, and above all to the Documentation link, where you can find guidance on how to manage your WordPress page. The second leftmost badge redirects you from the Dashboard, (main page) to the website, where you can take a look at how a user would see the work you’ve done. In addition, you can find here various popular locations in the Dashboard, such as Themes (add/change theme), Widgets, Menus (add or remove menus), Customize (allows you to change some colors, taglines, titles, etc), and whatnot. The next badge tells if you have any comments in moderation. The same item you can find in the Admin Panel. The last badge on the left side called “New” helps you add your content to the site. Here you can create new posts, media, pages, and users. It’s pretty useful if you are on your site page. Otherwise, all that items can be found in the Dashboard. The rightmost badge serves the account-managing purpose. Here you can change your password, edit your profile, etc. Dashboard: Upon clicking on it, you’ll be directed to the Home page. And if you point a cursor on it, the item which contains the recent updates will be revealed. Posts: This badge allows you to review all your posts, add new ones, and implement categories or tags to them. Media: Media is a place where all your images are held and where you can add new ones. Pages: Unlike posts, “Pages” doesn’t give you the option of having categories, since a page has static content, and is not being updated. Overall, here you can create a new page or review the ones you already have. Comments: It performs the same function as the “Comments” badge on ToolBar. Appearance: It has the items which were mentioned in the ToolBar section (themes, Widgets, Menus, Customize). 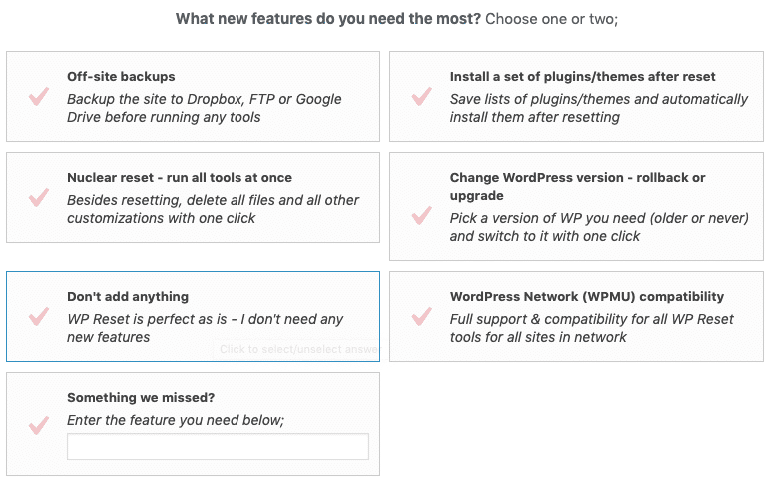 Plugins: This section allows you to extend the functionality of WordPress. You can add new plugins by searching for them among the pool of available ones in WordPress, or just click the “Upload Plugin” button. Users: Here you can create an account for staff members, or edit your account. Tools: It allows you to export and import your content. Settings: In simple words, in the settings section, you’ll find everything that misses in other categories. WordPress is a huge software that allows novice bloggers and businessmen to create a web page according to their preferences. It’s easy-to-use, as well as completely free. But if it was so flawless, then web designers would be of no use nowadays. 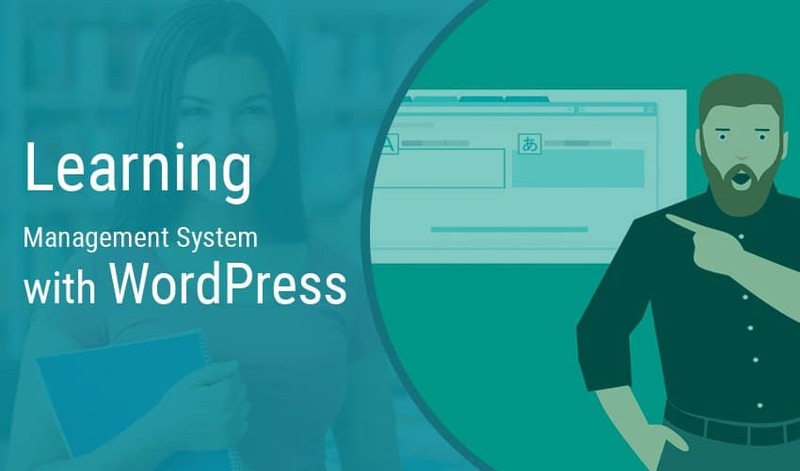 The point is that WordPress mainly suits informative pages of a simple structure (such as web newspapers, memberships sites, university sites, simple online shops, etc.). Some online platforms that have a more complicated construction and profound theme (such as HolyMoly Casinos) should hire professionals in order to make their websites look as good as possible. So, if you want to be a blogger, or run one of the businesses listed above, then feel free to use WordPress.